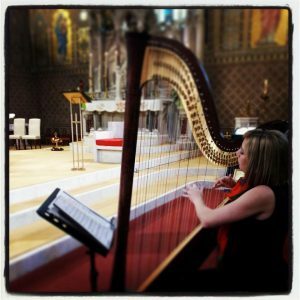 “Imagine the soothing sounds of the Harp as you walk down the aisle, or provide your guests with premium musical accompaniment for your drinks reception. 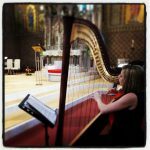 Annes elegant and sophisticated presentation, together with the exquisite sound of the harp, will add an element of class to any occasion. 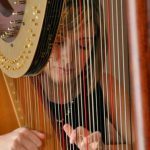 Based in County Armagh, Northern Ireland, Anne is one of the most experienced Concert Harpists, gaining a Bachelors Degree in Music (majoring in Harp performance) and over 15 years experience with performing at weddings. 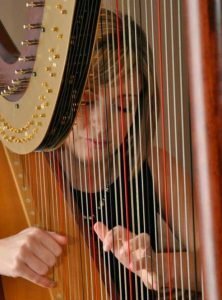 The harp is exquisite and sets the tone for any event, Anne is a concert harpist with a difference! 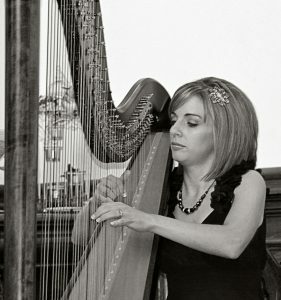 Classically trained, she has performed throughout Ireland. She will add a special touch to your wedding. Anne has an extensive repertoire of Classical, Traditional and popular pieces, perfect for all occasions. 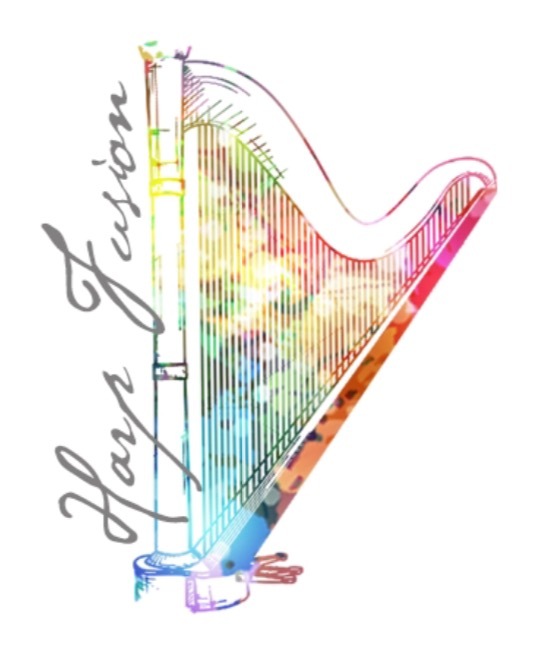 She enjoys highlighting the versatility of the Concert Harp with her wide repertoire. Anne plays a full size Pedal/Concert Harp, which not only sounds amazing, but also looks stunning. As a professional Harpist Anne enjoys providing a truly committed service from start to finish.